The Albatross – Guns & Gold – Album Review | The Ark of Music – The best music in the world…you never knew existed. 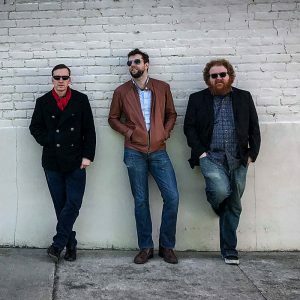 Members Ben Kiehl (drums), Jake Kiehl (guitar, vocals), and Zack Stoudemayer (bass) chose the serendipitous name which was inspired by everything from Monty Python, to Fleetwood Mac, to an old Samuel Taylor Coleridge poem. Listing iconic influences such as the The Yardbirds, The Rolling Stones, The Who, Led Zeppelin, Cream, Creedence Clearwater Revival, and so many others, the boys are following-up 2016’s self-titled debut album, The Albatross, with this year’s, Guns & Gold, an entertainingly uncomplicated, raw and grimy thing, which shows you exactly what it is from bar one. Kicking the door open is an explosive punk-blues breakup anthem called, Suitcase. There is magic in music you don’t have to think about, and here it is. Winter Sun took me by surprise with its vintage 70’s folk-rock vibe. A double-guitar solo, full background of harmony vocals, and military style percussion, all build to create something rather wonderful around the 3:50 mark. A very unique track. Eaten By Sharks’ fuzzed-up intro riff is immediately reminiscent of 1970’s American Woman by The Guess Who. An organ unites with guitar and drum to create a wall—of what I would like to now label—that Albatross-sound: grimy, raw, but still fresh. I particularly love the tone Jake achieved for the solo at 2:38. This is the best track on the album. With plenty of distortion and bent strings, Crocodile Tears, satisfies that classic 12-bar craving. The best solo on the album begins at 2:13… good lord, the gorgeous mayhem. Absolutely love the aptly titled acoustic mountain jam, Before The Mountain. At a mere 56 seconds long, I’d argue the boys did well to leave it alone. Endearingly unrefined. Perfectly rough around the edges. 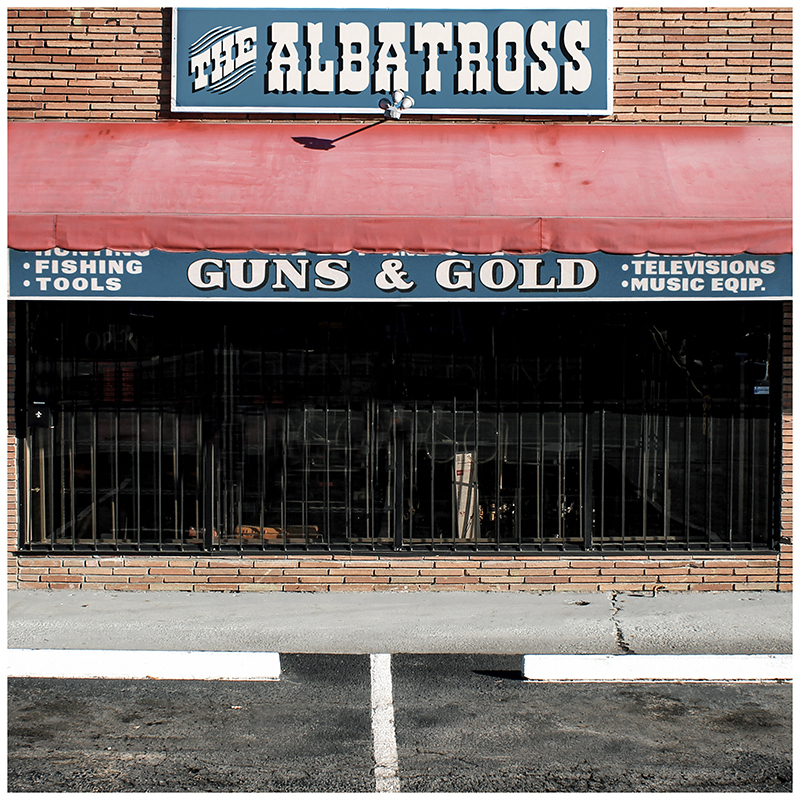 The Albatross’ sophomore effort, Guns & Gold, feels authentic and handmade from start to finish. 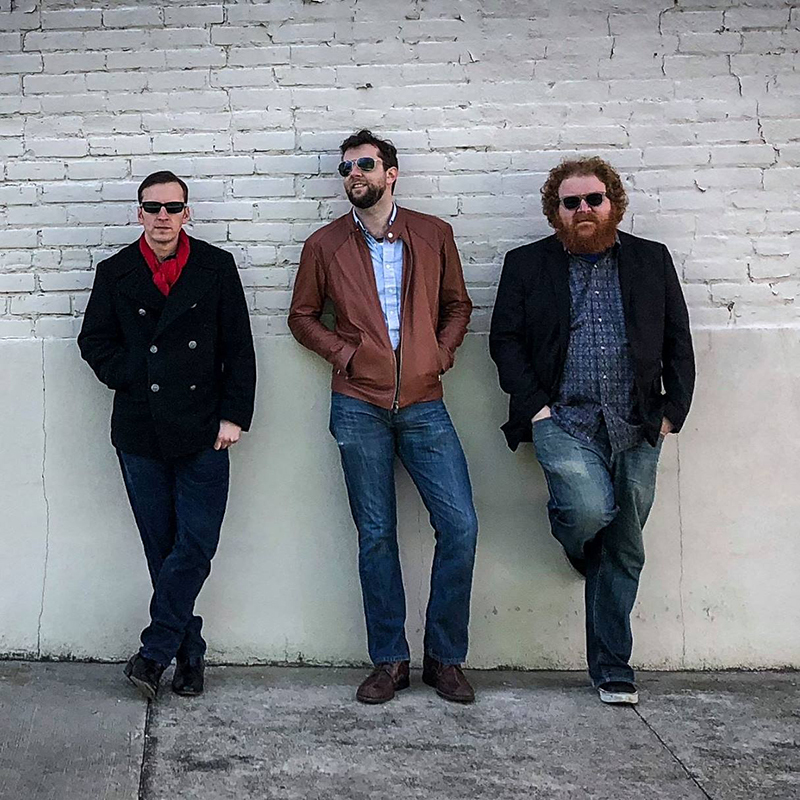 Whether they’re grinding out 12 bars of fuzzy blues, or harmonizing on a bit of 70’s style folk-rock, they seem at home in their craft; and the variety perpetuates a curiosity to hear more. All in all, the album is a fun and fresh twist on an old and iconic genre. Indeed, if you dig those old British blues/rock bands previously mentioned, you’ll dig this album. BELOW: Listen to The Albatross’ album, Guns & Gold, and connect with their website and social media platforms. Please support The Albatross by visiting them online, and playing, downloading, and/or purchasing their music, or attending a live show! And, as always, thank you for supporting real music!